“Validity of practices like triple talaq and polygamy needs to be seen in the light of gender justice. They go against the principle of gender equality and are unfair, unreasonable and discriminatory”: Centre’s affidavit in Supreme Court. Gender equality is part of the basic structure of the Constitution and non-negotiable, the Centre told the apex court asseting that “It is extremely significant to note that a large number of Muslim countries or countries with an overwhelmingly large Muslim population where Islam is the state religion have undertaken reforms in this area and have regulated divorce law and polygamy. The affidavit lists the names of countries like Pakistan, Bangladesh, Afghanistan, Morocco, Tunisia, Turkey, Indonesia, Egypt, Sri Lanka, Iran to drive home its point. 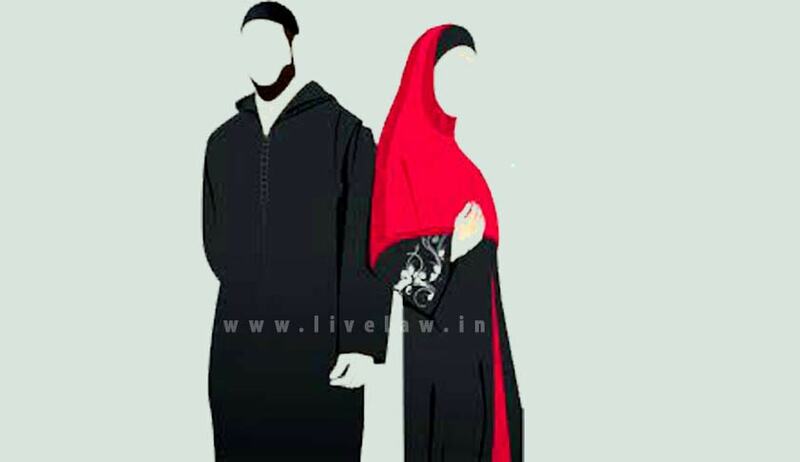 Under Muslim personal law based on the Sharia, a Muslim man can divorce his wife by pronouncing talaq thrice. Muslim men are also allowed to have four wives. “Even though it may be true to say that only some women are directly and actually affected by these practices being divorced by talaq-e-bidat or being in a polygamous marriage, the fact remains that every woman to whom the law applies, lives under the threat, fear or prospect of being subject to these practices, which in turn impacts her status and her right to a life with confidence and dignity,” the government said. “Issue of validity of triple talaq, nikah halala and polygamy needs to be considered in the light of principles of gender justice and the overriding principle of non-discrimination, dignity and equality”. “The fact that Muslim countries where Islam is the state religion have undergone extensive reform goes to establish that the practices in question cannot be regarded as integral to the practice of Islam or essential religious practices”. “Secularism being a hallmark of Indian democracy, no part of its citizenry ought to be denied access to fundamental rights, much less can any section of a secular society be worse off than its counterparts in theocratic countries, many of which have undergone reform”. “Gender equality and dignity of woman are non-negotiable, overarching constitutional values and can brook no compromise. These rights are necessary in letter and in spirit to realize aspirations.